Is BlackBerry A Dead Product Walking? Only “best” companies will earn margin premiums and enjoy the growth worthy of the hard work of business executives and salespeople. I’m becoming increasingly convinced that BlackBerry is rapidly falling into the “Me-too” category, and will become increasingly irrelevant (and less profitable) going forward. Full Disclosure: I’m an Apple fanatic (of course, if you’re reading this blog, you probably already know that). I’ve owned every version of the iPhone within a week of its release. So maybe that colors my thoughts, but I don’t think so. One of the fundamental precepts of great businesses is to narrow your market focus and expand your yield. Great companies are maniacally focused on who their customers are – and who they aren’t. Jim Collins made that clear in his seminal book Good to Great. BlackBerry, at one time, was an absolute killer device. I had one and loved it. Ever since the iPhone came out, and the smart phone category exploded, BlackBerry has been struggling with finding its place. The Storm was a disaster (on all counts), and they continue to lose market share. To fight that, they keep “innovating” and coming out with new products. A recent view of their website highlights seven different models to chose from. So I ask, what is a BlackBerry? We're dead alright. We're just not broke. And you know the surest way to go broke? Keep getting an increasing share of a shrinking market. Down the tubes. Slow but sure. You know the surest way to go broke? Keep introducing more new products while you continue to lose share of a growing market. Down the tubes. Slow but sure. Think about this for a moment. Who loves – I mean really loves – their BlackBerry? Heavy duty email users – that’s who. Email was the entire basis of BlackBerry’s success to begin with. They invented technology and a device that solved a critical problem for people. Now, what’s their newest device? The BlackBerry Style. Huh?! What?! If someone is buying a phone for “style;” guess what – they’re buying an iPhone. People who buy BlackBerrys buy them for function. 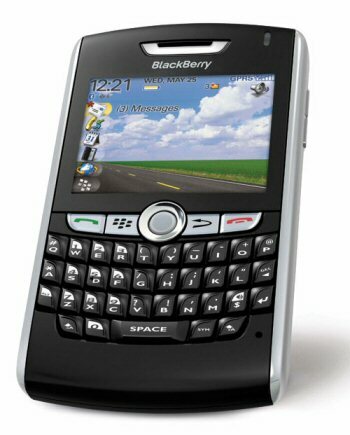 BlackBerry is superior to the iPhone if email is critical. The iPhone is superior in just about every other way. To ensure its future, BlackBerry needs to stop playing other people’s games. They need to focus on their core market – heavy duty email users. Is that a smaller market than the size of their current business today? Yup. But guess what, BlackBerry isn’t as big as it thinks it is. Do I keep fighting for volume and size which will result in less profit and greater vulnerability, or do I accept the market for what it is and focus on what we do best and become relevant?